Wendi S. Blaskowski-DeBruin, age 51 of Green Bay, passed away peacefully, Thursday, August 23, 2018, surrounded by her loving family, after a courageous battle with cancer. She was born June 8, 1967 in Green Bay, daughter of the late Robert L. Berkley and Sanda L. Doubek and was a graduate of Green Bay Southwest High School. 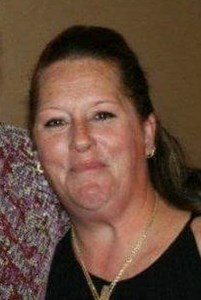 Wendi worked many years in customer service at various businesses around the Green Bay area including AT&T and Dr. Comfort as well as for her family's restaurant, Grandma Brodney's Boarding House. Wendi married Robert Blaskowski in May of 1987 and they were blessed with 2 children, Amber and Bryant. She later married Danny DeBruin, October 2, 2010 and they shared 8 loving years of marriage. Wendi had a great love for animals. She also enjoyed NASCAR, cheering on the Packers and watching her favorite TV shows. Wendi was an excellent homemaker, cook and baker. She had a kind and compassionate nature and a laugh that warmed your heart. Wendi's family was her pride and joy was her family-she was their rock. She was a loving wife, a proud mom and a fantastic grandma. Wendi is survived by her husband, Danny; her children, Amber (Gail Padilla) Blaskowski and Bryant Blaskowski; honorary daughter, Ally Costello; step-daughters, Julia DeBruin and Laura; grandson, Mason; a sister, Terri (Michael) Kinney; special nieces: Amanda, Cassie, Nikki and special nephew, Mikey. Visitation will be held at Grace Lutheran Church (321 S. Madison St., Green Bay), Thursday, August 30, 2018 from 4 to 7 PM. A funeral service will follow at 7 PM with Pastor Larry Lange officiating. Wendi's family would like to thank the staff at Oddfellows for their care and support as well as Pastor Larry Lange and Grace Lutheran Church for their prayers and support. Add your memories to the guest book of Wendi Blaskowski-DeBruin. I will cherish your green Irish bracelet forever! It makes me smile!! I will miss you! my sincere condolences. Wendy had an amazing kind heart. This makes a girl tear up; Wendy was a "laugher" and lover for sure! We had so many fun times in high school, especially at lunch. Lucky for us she had a car, and a cool car mind you! We would get into all kinds of silly stuff, just over lunch, amazing what our group could get involved in within an hour lol. Loved her laugh, it was the best! So sorry to hear you all are having to learn to live life without her. God bless your hearts! RIP my friend! Raise a little "heck" and see you when I get there sister! Love you!! !